Playtech has been one of the leading software developers in the online gambling industry for many years. The company continues to bring joy to its fans and business to gambling operators all over the world. Their latest ‘present’ comes in the form of a great online slot based on the cult sitcom American Dad! Enjoy Your Favorite Show in an Online Casino with American Dad! The animated sitcom American Dad! needs no introduction. The show is so popular, it’s achieved the status of a ‘cult series’. If the words ‘Good morning USA!’ bring a nostalgic smile to your face, this online slot is definitely for you. Playtech is the only developer licensed to use the characters of the show, which means this slot is truly unique. It’s a 5-reel 40-line machine for gambling entertainment that allows you to reunite with the Smiths family and enjoy quite a few fun moments with them. The game is filled with funny reminders of the show. For example, you get the ‘Schmooblydong Wheel’ symbol that can open the doors to re-spins and free games. The wilds in the slot come from the ‘wildest’ character of the show, the space alien. Roger’s Random Wilds lead you to the Legman and Wheels that can bring you to a huge win. While all this is nice, it’s hardly novel as every online slot has wild and bonus features. What sets American Dad! apart from the rest is the fantastic animation based on the show. The game is designed to be fun, as it really should considering the fact that the original is downright hilarious. While playing, you get to enjoy all kinds of sights, ranging from the alien coming back home after having a bit too much fun the night before to your favorite characters chasing each other all over the screen. Animations are one of Playtech’s strongest suits and they are truly stunning in this game. The rest of the game is just as good. Like all Playtech products, it has been rigorously tested to prove its fairness and stability. American Dad! 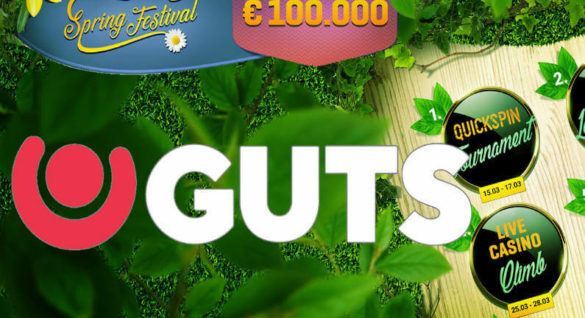 is an online slot you can trust completely. The game runs like clockwork and gives you an honest chance to win big. Playtech prides itself in being a multiplatform software provider. The company knows exactly how to ensure that their products remain stable and efficient no matter the device you use for playing. American Dad! might not have some truly original features, like a unique layout of the reels. However, it’s a slot that will definitely make it to the top of many players’ favorites. Its design is so fetching, even people who aren’t fans of the show will be able to enjoy playing this game. You don’t have to possess some special knowledge of the sitcom to have fun watching the Smiths being their crazy selves in the premise of an online slot. 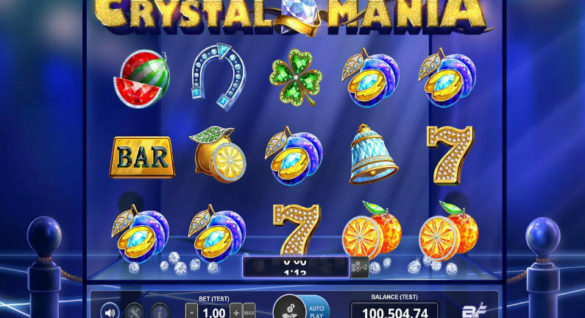 Have fun with Playtech’s new slot at the casinos powered by this software provider, such as 10Bet Casino, and many others. When one hears that Playtech is an omni-channel software provider, people tend to underestimate the extent of that ‘omni’ part. However, the company won’t allow you to forget that it can develop premium-quality solutions for any gambling service. Their latest deal with the UK’s Rank Group is a testament to that. Playtech has actually been working with the Rank Group for a while. Therefore, the new deal isn’t much of a surprise to most industry experts. The surprising fact here is just how much more involved the Rank Group wants to be with this software developer. The terms of the new contract state that Playtech slot and table management systems are to be installed and integrated at the entirety of the Rank’s ‘territory’, which amounts to 54 land-based UK Grosvenor Casino estate. All of them will now run on Playtech ONE, which is an outstanding innovative platform. According to this deal, Playtech will use their Neon Slots and Neon Tables systems to effectively manage Grosvenor’s 650 tables and 3,000 slot machines. The company already has experience of using these software solutions on a smaller scale. Considering how consistent the quality of Playtech’s products is, we can be sure that everything will run smoothly and the Rank’s profits will increase. The switch to Neon should occur before the end of the year. As of today, it’s the most tech-advanced casino system one can find. The inevitable success with the Rank’s casino estate is sure to boost its popularity, so we can expect to see more land-based casinos switching to Neon in the future. Playtech has actually started to integrate Neon in Grosvenor’s estate last year. However, the solutions were mostly used for managing client databases and desk operations. This new advancement will increase the involvement of Neon in the processes that run online casinos. This would put the entire system on a new level, opening new opportunities for business growth.